How cute are the Rudolph cookies I made today?! I ran across the recipe on Pinterest and HAD to make them. 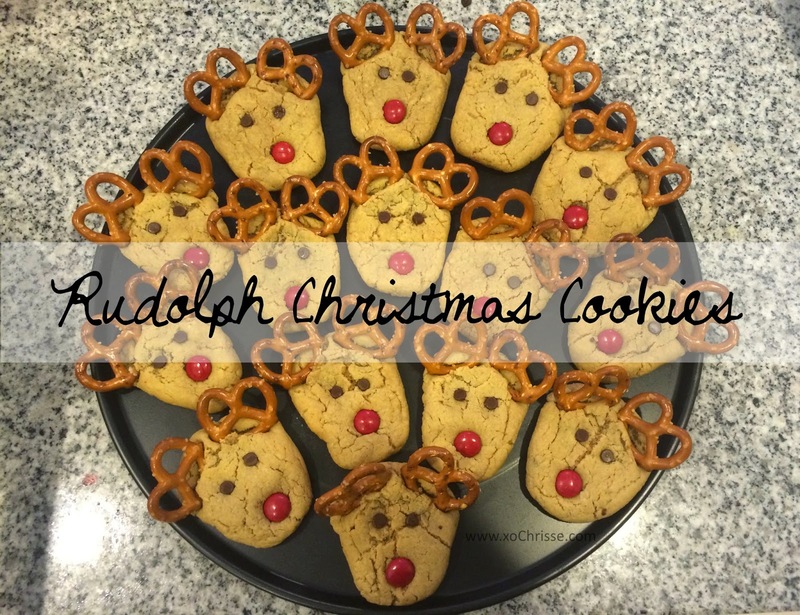 They were super easy to make and tasted delicious, I am definitely going to be making them again before Christmas. Combine brown sugar, peanut butter, milk, and vanilla in large bowl. Mix until blended, then add egg and beat until it has a nice consistency. Combine flour, baking soda, and salt to mixture slowly and beat until dough forms. 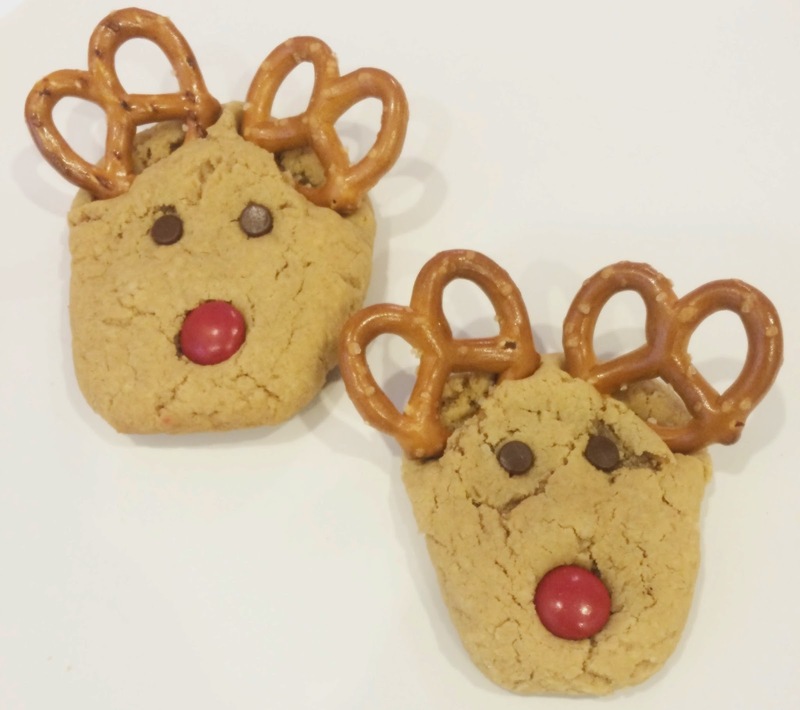 To make reindeer-shaped cookies, pinch the bottom of the ball slightly to form a point, then gently flatten with your hand. Bake for about 8 minutes, until set or just beginning to brown. Press two mini chocolate morsels in for the eyes and one red M&M for the nose. I put the cookies in for an extra two minutes so the pretzels set in. Allow to cool for a few minutes on the baking sheet and then transfer to a wire rack or paper towel to cool completely. My batch made about 20 cookies. © xo, Chrisse. Design by FCD.